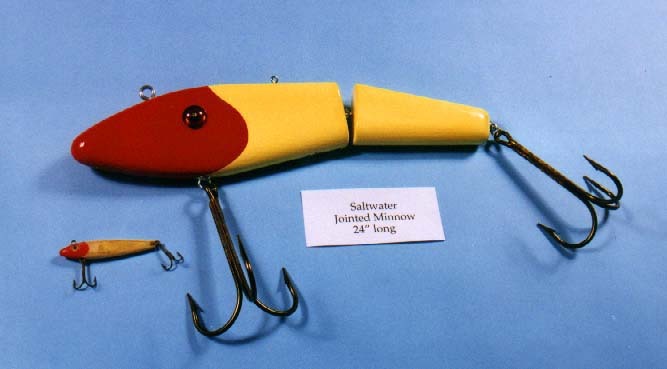 A popular saltwater lure . The same body style as the freshwater jointed minnow but without the diving lip .A good lure for speckled trout. Paint: Cream colored body with red head and large plastic eyes .